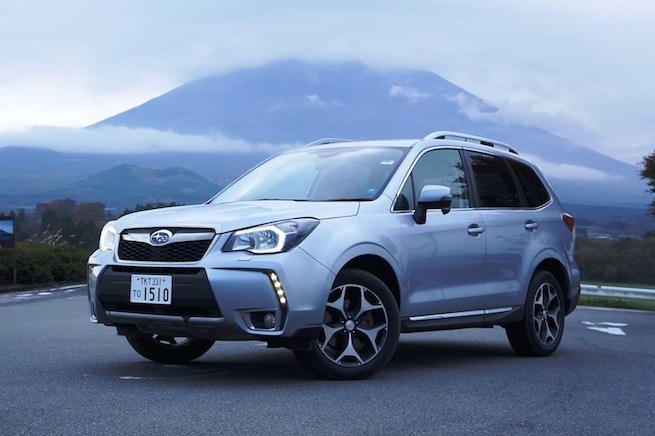 There are five huge reasons why the 2014 Subaru Forester is a global vehicle and will stay at the top of the SUV rankings. Subaru just completed a year long treck around the globe across five continents. The global demonstration took the new crossover about 100,000 km around the world. The world-wide caravan started a year ago November 13, 2012 and was just completed on October 30, 2013. What does the Forester Live project prove? Forester’s global treck arond the world was intended to demonstrate the height of the function and performance of the new crossover to travel across the world’s five continents in all conditions. Most SUV owners use their crossover to take the kids to soccer and as a grocer hauler. The Forester is able to go anywhere its owner wants to take it. Subaru wanted to appeal to the active lifestyle of new millennial buyers around the globe. Forester is a global vehicle like to no other on the plantet. The Japanese team encountered everything from desert and snow-covered roads, winding mountain roads, and racing circuits. The SUV survived every type of road, climate and harsh environment around the world. It proved that the newly redesigned crossover will handle anything you can throw at it. It’s exactly what active SUV buyers are looking to do with their vehicle on the weekends. They will take it to the mountains and beaches around the world. unique technology of Subaru and its Symmetrical AWD", X-Mode and demonstrate the functions and performance of the direct injection turbo DIT engine. The treck took Forester across five world continents, from Australia, Eurasia, Africa, South America and finishing in North America. It all started November, 2012 proving that the 2014 Subaru Forester could travel 100,000 km over five continents in all conditions. It started in Broken Hill, Australia, Flinders Ranges, Great Ocean Road, and Tasmania. They then took Forester to Valdresflya, Eurasia, Col de Turini, Italy, Nurburgring, Germany, Chapman’s Peak, Namib Desert Africa, Cuesta del Lipan, South America, and finished in North America traveling to Willow Springs International Raceway, and Death Valley, California. The Forester is now back home and ends its global tour at the base of Mount Fuji, Japan. It was truly a global tour that demonstrated Subaru’s DIT engine, X Mode, and Symmetrical AWD capabilities. Subaru is attracting a new generation of buyers with the Forester who want a vehicle that will go anywhere on the planet for their weekend adventures. This ultimate project across five continents proves the Forester’s all-round SUV capabilities. Look for the 2014 Subaru Forester to stay on top beating the competition. Watch Forester Live across five continents video.